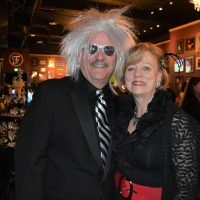 at Fillmore Auditorium benefiting Colorado Symphony at 6 p.m.
Who says a symphony orchestra can’t rock the house? 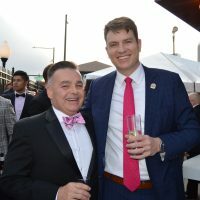 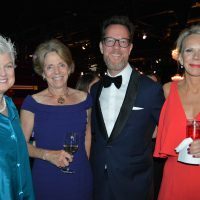 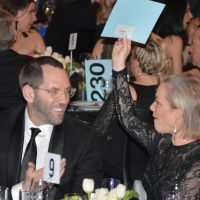 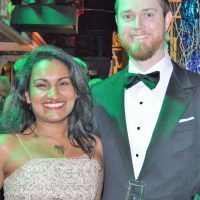 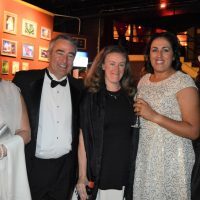 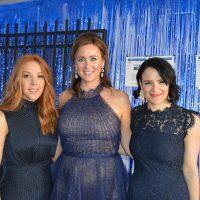 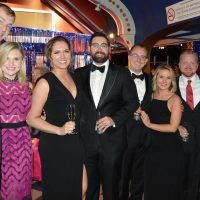 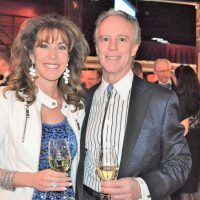 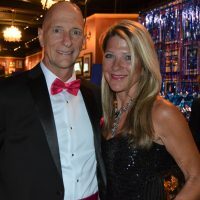 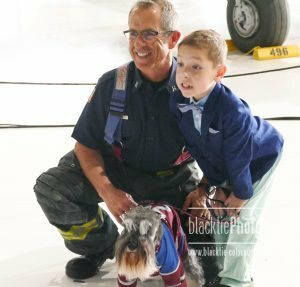 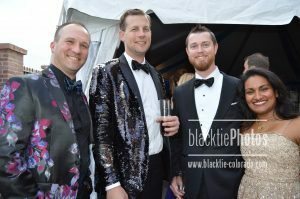 The Colorado Symphony has been entertaining and educating the region under various names for almost a century, and its spirited annual ball–NOT your mama’s black-tie fundraiser, thank you–has been a must-attend event for 25 years. 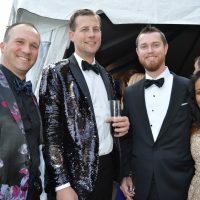 This year’s incarnation, “RhapsodyRock,” celebrated the Symphony with an event designed to appeal to the pops crowd and music traditionalists, as well as anyone with a rock-star ‘tude, dude. 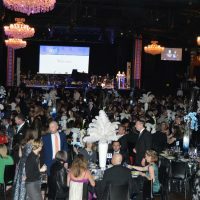 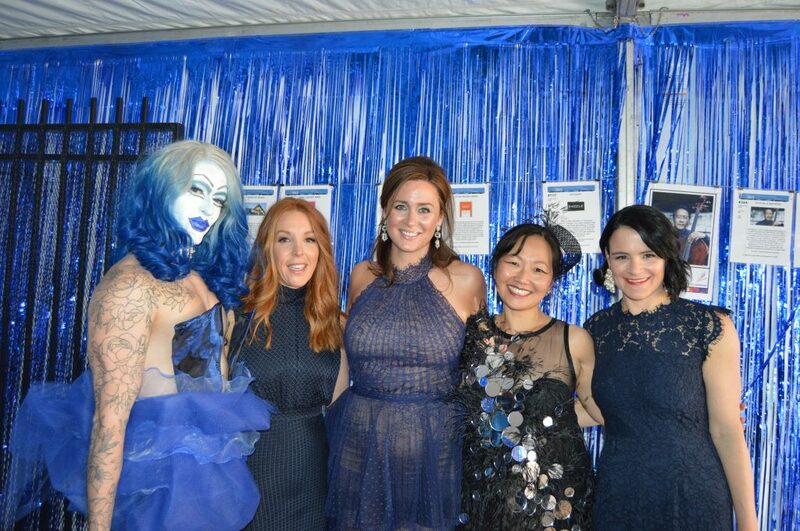 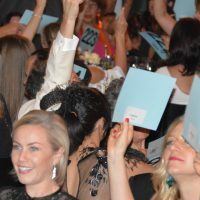 Generous guests made the evening even more special, with approximately $1 million in donations. 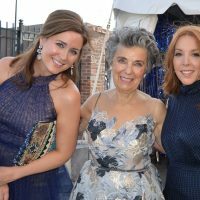 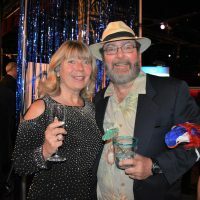 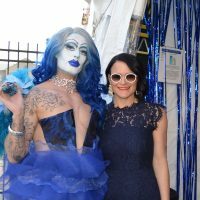 On Saturday, April 28, Colorado Symphony fans of all ages descended on Fillmore Auditorium to celebrate the fundraiser’s silver anniversary. 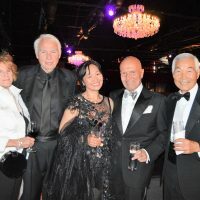 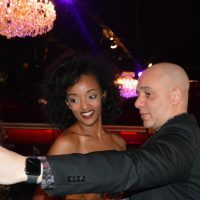 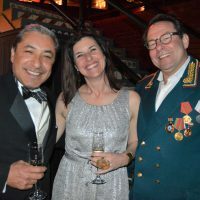 The dress code—black tie with rock-and-roll flair—ensured that everyone would have the opportunity to feel right at home. 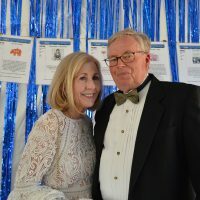 The evening began with a silent auction and cocktail reception held both indoors and outside on a breezy spring evening. 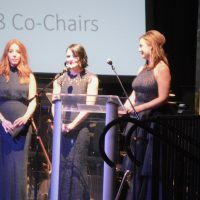 9News anchors Kyle Clark and Christine Noel served as program emcees, and event co-chairs Amy Harmon, Diane Nagler and Stephanie Donner spoke to the crowd as everyone settled in for an enjoyable three-course dinner served by Epicurean Catering. 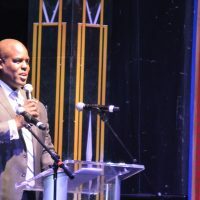 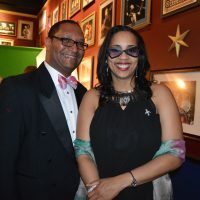 Genial media personality and former Bronco Reggie Rivers served as auctioneer for six unique packages, one that included tickets to two nights of “Hamilton,” on Broadway as well as in Denver. 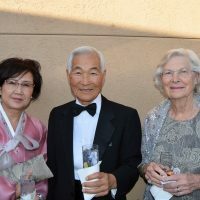 United Airlines was chosen as this year’s Margaret Phipps Award recipient, recognized for its longstanding generosity to the Symphony. 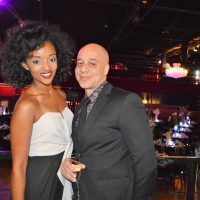 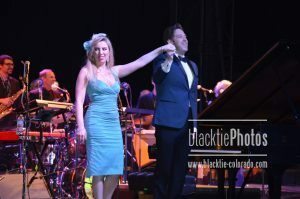 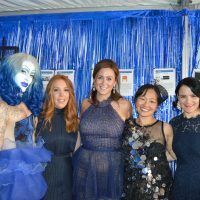 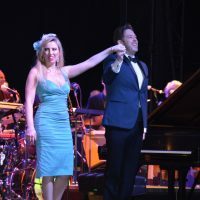 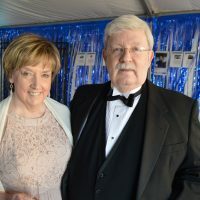 Its familiar “Rhapsody in Blue” theme was carried out with the event name, as well as a marvelous performance of the piece by the Symphony, led by music director Brett Mitchell, featuring pianist Natasha Paremski. 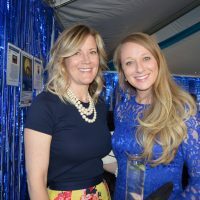 United Airlines’ Sharon Grant was on hand to accept the award on behalf of the corporation. 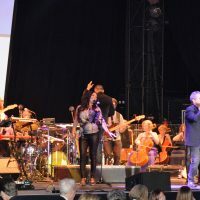 The evening’s entertainment continued with a rock-solid performance by The Merger, backed up by Symphony musicians. 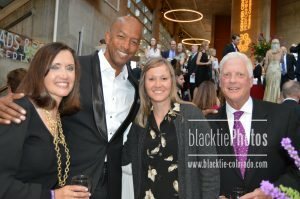 The Colorado Symphony performs more than 150 concerts annually at Boettcher Concert Hall in downtown Denver and across Colorado. 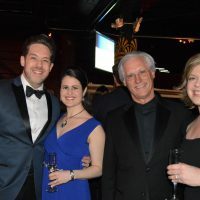 Every year, the Symphony serves more than 250,000 people from all walks of life, performing a range of musical styles from traditional to contemporary, and partners with organizations and individuals to expose diverse audiences to the transformative power of music. 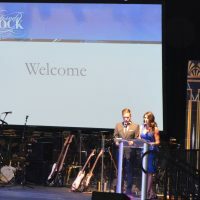 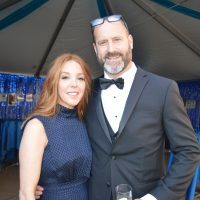 RhapsodyRock is the organization’s largest fundraiser of the year, with dollars raised going toward the operations and education programs of the Colorado Symphony. 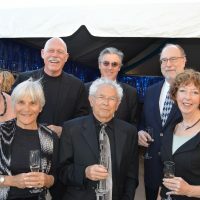 For more information, please visit ColoradoSymphony.org. 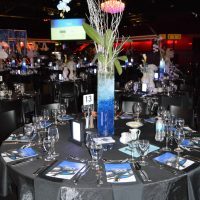 Gorgeous floral arrangements accented tables set for dinner. 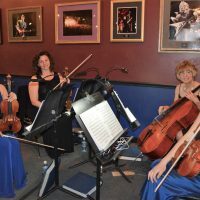 A Symphony string quartet entertained during the reception. 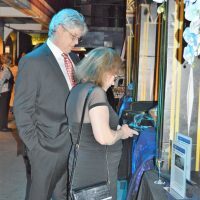 Guests were entertained by a Symphony pianist at one of the silent auction’s outdoor tents. 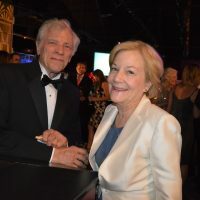 Larry and Sharon Grant flew in from Chicago, so Sharon could accept the Margaret Phipps Award on behalf of United Airlines. 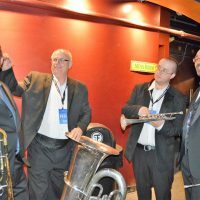 Brass quartet members prepare for their photoshoot. 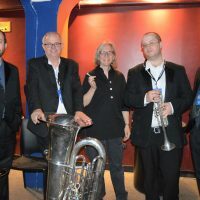 The brass quartet adds an assistant (center). 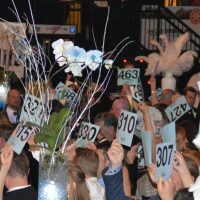 Guests settle in for dinner service. 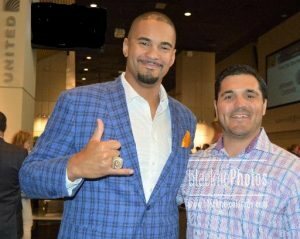 Reggie Rivers, media personality and former Denver Bronco, served as auctioneer. 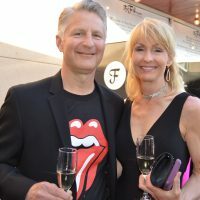 The Merger rocks it out.